Tis the season to be jolly, and all that other merry stuff! What I enjoy about the holidays is getting to finally play my holiday music. I have a vast collection of Holiday music dating back to the classics, the remakes, punk rock/pop/ metal Christmas collections and much more! 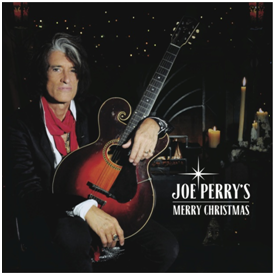 Now I have one more to add to my collection and this one is from one of my favorite artists, Joe Perry. With so many holiday songs out there, how did you choose these selections? And, why did you choose to record some as instrumentals and others as vocal tracks? Do you have any annual family holiday traditions? You’ve talked a lot about your upbringing in your new book ROCKS, do you have a favorite holiday memory? 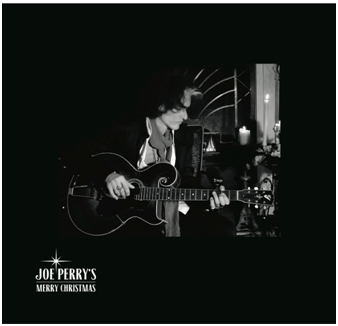 So make sure to pick up the EP and create the perfect holiday soundtrack.